Digiarty is back with a boom with another giveaway for all its users. This time it is the upgraded version of DVD ripper Platinum which is available for free download till the 27th of November. The WinX DVD Ripper Platinum, which usually costs $45.95 can be downloaded for free of cost from here – WinX DVD Ripper Platinum. 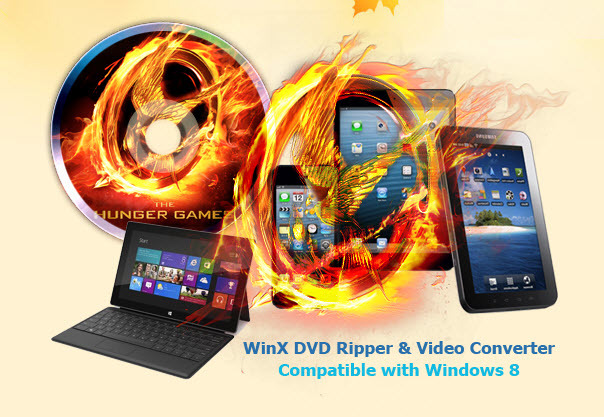 Make sure that you get your WinX DVD Ripper Platinum Free License key before it’s too late. It can rip DVD to 300+ new devices. With strong rebuilt Core, the software can work much faster and more stable; while brand new UI makes it more friendly and easy to use. It is now compatible with the Latest Windows 8 operating systems. New! Added 300+ profiles for almost all popular tablets and mobile phones. New! Support “merge file”, “clip segments”, “crop video size”, etc. New! Rip DVD to iPad Mini/4, Galaxy S3/Note, Nexus 7, WP8, Surface tab, etc. Convert DVD to MTS/M2TS, AVI, WMV, MP4, H.264, iPad, iPhone, Android, etc. Copy DVD to ISO image. Clone full title/main DVD content to MPEG2 File. The only demerit of this thanksgiving giveaway is that you will not avail any further free product update whenever it releases in the future. If you want to update to the next version, you will have to shell out a few bucks. Please keep the free code for personal use and DO NOT disclose it. This is bogus, where do i put my email , no serial no registration, just a fake Giveaway.